You do your job so well Bernie. Thank you for always being prompt, efficient and knowledgeable. You certainly deliver excellence! Bernie was incredibly helpful in the purchase of my mine and my partner’s first home. He went above and beyond to ensure everything ran as smoothly as possible and answered all of our questions fully and promptly. I could not have asked for a better agent and I would willingly recommend him to anyone, buying or selling in this area. 10/10! Pleased to have done business with Bernie Kroczek Real Estate! This is the second occasion that I have purchased property through Bernie Kroczek Real Estate. This time was no different from the first time. Bernie had all the answers to my questions regarding the property that I bought and was frank in relation to purchasing price and the vendors situation. As on the first occasion I was comfortable with the purchasing process, which appeared fully transparent. No unrealistic promises or expectations were made. Bernie is also backed by a team in the office who are friendly and competent. Thanks. 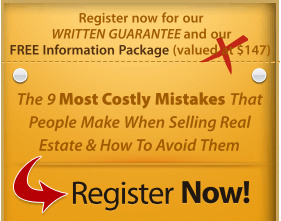 Bernie Kroczek Real Estate is a highly professional and personalised company. Fast and efficient, Bernie even made the effort to come see my at my work place when I was unable to get away to see him. I will definitely continue to use them as my agents! James, first home buyer. I recently bought my 1st home through Bernie Kroczek Real Estate, a modest but lovely unit on the “cheaper” end of the property market. What impressed me most about Bernie and his staff was I never felt less important than someone buying a million dollar property. Bernie took the time to walk me through the process, making sure I understood each step clearly. He was always extremely patient with my questions and always got back to me promptly. The boutique style of the agency allows for friendly, personalised service while maintaining expertise and professionalism. I will be recommending Bernie and his staff without reservation for years to come. It is with pleasure that I recommend Bernie Kroczek Real Estate. Bernie recently sold a place for me in North Perth. I found him to be very honest with his valuations, he was not over the top and he achieved the price in between the valuations he said we would get. The sale was very smooth and Bernie was very professional. It is with pleasure that I recommend Bernie to anyone wishing to sell a house in this area which he knows very well. Thank you. In my experience most real estate agents leave me with the impression that they are only trying to service their own hip pocket. Bernie is the only agent I have had the pleasure of working with that I trust, and that I believe put our needs before his own! I found the experience of trying to sell our house with Bernie a very refreshing one. Bernie has worked for me for over 20 years buying and selling properties and also in the last year or so in property management. 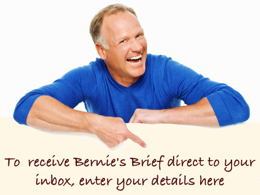 The service that Bernie provides has always be absolute top class. Bernie goes out of his way to make things easy for his clients. It really is a pleasure to have someone who you know is looking after your interests. The property management side of things has been easy, simple, his staff are really helpful, they provide information when you need it and nothing is ever too much trouble. It really has been 20 years on reflection, since we first bought a property with Bernie’s assistance and since then there have been numerous sales and purchases. Having had some experience during that time with some other real estate agents the difference is even more noticeable, and I’m certain that with any future real estate deals we’ll stick with Bernie, its been really good, thanks Bernie.